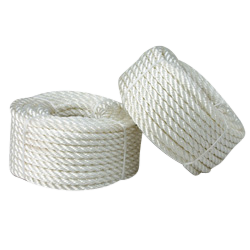 Nylon white mini-coils are available in lightweight, convenient packaging, attractive for retail customers. 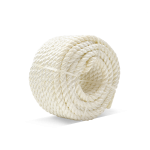 Built to resist rot, mildew and many common chemicals, the coils offer good strength, elongation and shock load ability. .